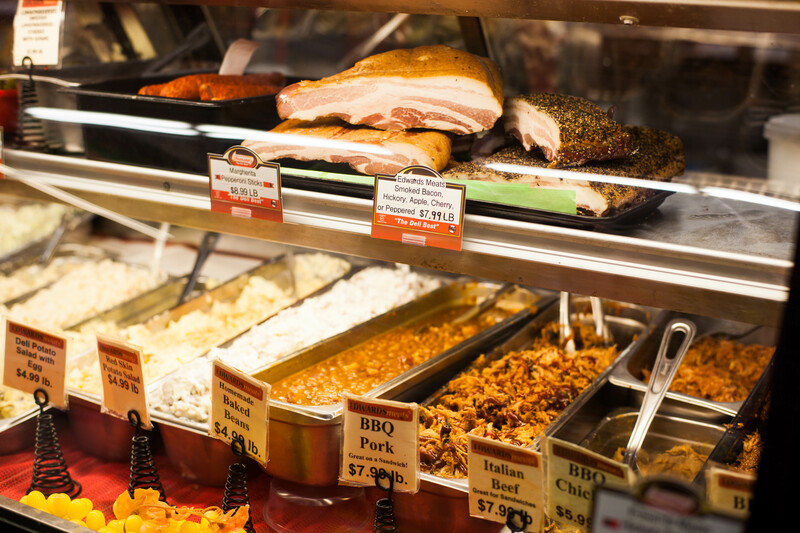 Edwards Meats is also a full service deli with excellent foods, meats, salads, and sandwiches. Are you looking for that perfect side dish, salad, picnic dish? Come to see us and our dishes. 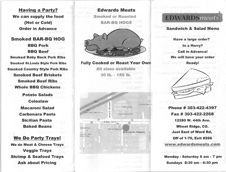 Hot & Cold Sandwiches featuring Edwards Meats homemade lunch-meats. Prepared Foods - Ready to Go! In a hurry or large order? Call in advance and we will have it ready! 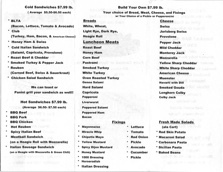 Cold /Hot Sandwiches $7.99 per lb. Build Your Own $7.99 per lb.